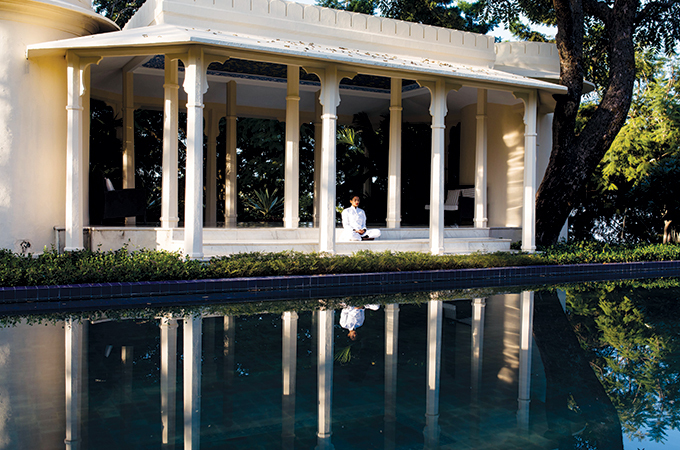 Ananda is a multi-award-winning luxury destination spa in the Himalayan foothills. Overlooking the spiritual town of Rishikesh and the Ganges river valley in Northern India, Ananda integrates traditional Indian wellness practices of Ayurveda, Yoga and Vedanta with the best of international wellness experiences and healthy organic cuisine in its signature wellness programmes such as Ayurvedic Rejuvenation, Detox, Yogic Detox, Weight Management, and Stress Management. Ananda’s Ayurvedic Rejuvenation programme is designed to restore the vitality of the body by eliminating toxins through traditional panchakarma treatments and by enhancing the body’s immunity through the combination of Ayurvedic treatments, dosha (body type) based diet and Yoga. The 21-night Ayurvedic Rejuvenation or Rasayanam programme results in complete wellbeing. The rejuvenation experiences detoxify and clear the channels in the body, which helps in keeping the body young and agile, preserving health and longevity and increasing physical and mental capabilities.